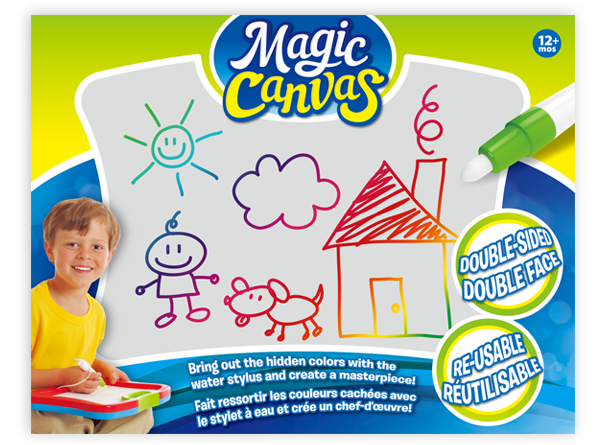 Magic Canvas is a dual-sided board that comes with 1 stylus that you fill with water. 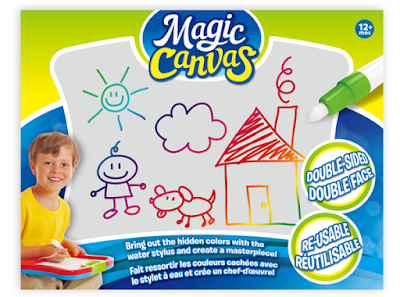 Once filled, your child can draw with it to unveil a rainbow spectrum of colors! 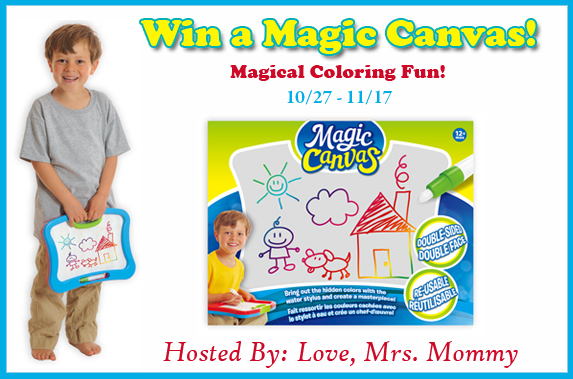 As these colors magically appear on the surface, your child’s drawing will take on new creative heights!